Your lifestyle is mobile and your speakers should be too. 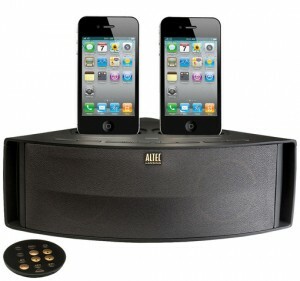 When you’re throwing an impromptu party, take along the Altec Lansing IMT325 Speaker System and get full-spectrum audio with surprisingly deep bass. The speaker’s black protective cover folds back for use as a stand, positioning the speakers at an optimal angle for listening. 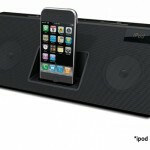 Interference free design allows you to groove to your iPhone’s music without having to turn on “Airplane Mode”. 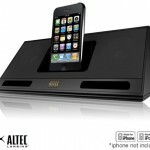 When a call is received, the Altec Lansing Speakers automatically pause the music so you can answer the call. 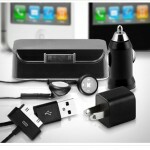 The universal iPhone and iPod dock recharges your device while it plays using an included AC adapter. 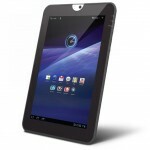 If you’re out of the house, the inMotion Compact gets up to 24 hours of playback when using 4 AA batteries. NOTE: A shipping and handling fee of $4.99 is also applied. 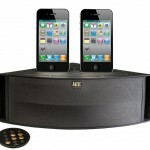 Altec Lansing Octiv Duo Speaker System for iPod & iPhone for $34.98 shipped!